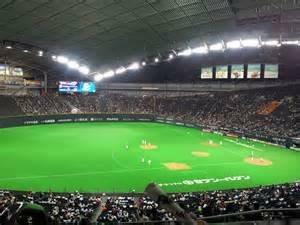 TOKYO (AP) -- Japanese baseball team the Nippon Ham Fighters have been ordered to pay a woman $350,000 in damages after she was hit in the face by a foul ball at Sapporo Dome. The incident occurred in August 2010 and the woman, who is in her 30s, lost sight in her right eye after being hit by the ball. Sapporo district court judge Yasuhiro Hasegawa ruled Thursday in favor of the woman, Kyodo news agency reported. The Fighters say they are considering an appeal of the ruling. The Fighters argued there are sufficient safeguards in place at Sapporo Dome including announcements to be careful of foul balls and notices posted on the giant screen.